EDC’s mission is to protect and enhance the local environment through education, advocacy, and legal action. Our organization has been serving the South Central Coast of California since our founding in 1977. As the only nonprofit environmental law firm working in the public interest between Los Angeles and San Francisco, this fundraiser is critical to ensure we are able to continue to protect the natural beauty of the Central Coast, this amazing place we are all privileged to live, work, and play. Every year at Green & Blue an estimated 500-600 people come together; a veritable “who’s who” of our community, including many of the area’s elected officials and civic and business leaders as well as a wide range of residents passionate about our region. 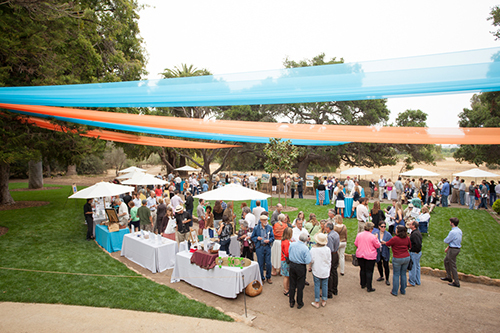 Last year’s event raised nearly 15% of our annual operating budget! This event includes local wine, hors d’ oeuvres and dessert, live music, and silent and live auctions filled with unique items, all amidst the lush surroundings of the historic Stow House.